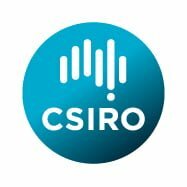 Precision Agriculture Tools (PAT) are a suite of tools developed by CSIRO for Precision Agriculture/Viticulture data analysis. PAT is a plugin for Quantum Geographic Information System (QGIS), a free and open-source desktop geographic information system. The PAT plugin is the result of many years of PA tool development, and whereas previous ‘in-house’ CSIRO tools for PA analysis required expensive proprietary GIS software, PAT is free and open source. In this way, we aim to make these tools available to a wider range of users, and to provide easy to use tools for processing PA data. The PAT plugin has now been released via the CSIRO QGIS plugin repository. The PAT plugin for QGIS contains the tools for the processing and analysis of precision agriculture data including the well-established workflows developed for constructing maps using on-the-go data. Tools are also available for users to analyse data collections from on-farm experimentation. PAT comes fully documented with a detailed user manual. For instructions on how to install PAT, see page 7 in the user manual at https://github.com/CSIRO-Precision-Agriculture/PAT_QGIS_Plugin/blob/master/pat/PAT_User_Manual.pdf. Development of PAT was made possible through a grant from the Department of Agriculture and Water Resources through the Rural R+D for Profit Scheme, with project sponsorship from Wine Australia. For further information or if you have any questions, please email PAT@csiro.au.